It was evident from the beginning that this group was here to experience everything the trip had to offer. 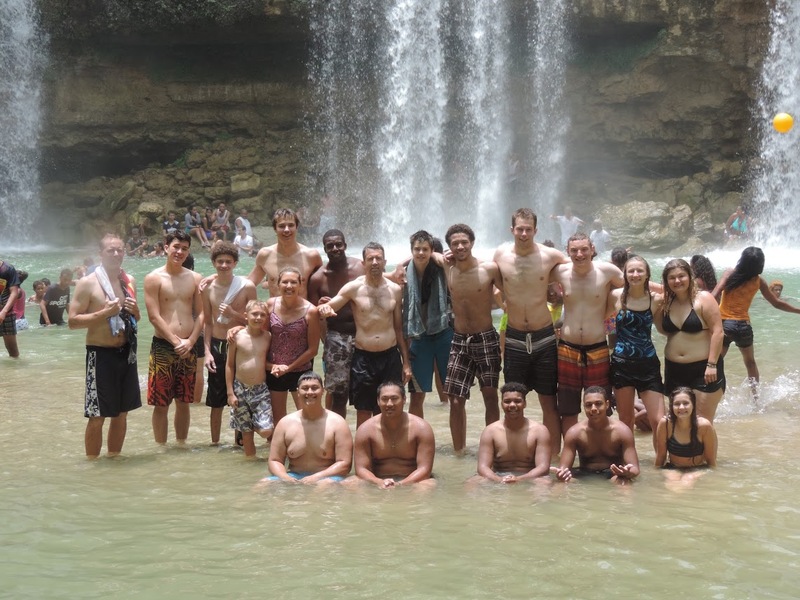 The students and adults were able to enjoy many aspects of Dominican culture and the famous hospitality of the people. 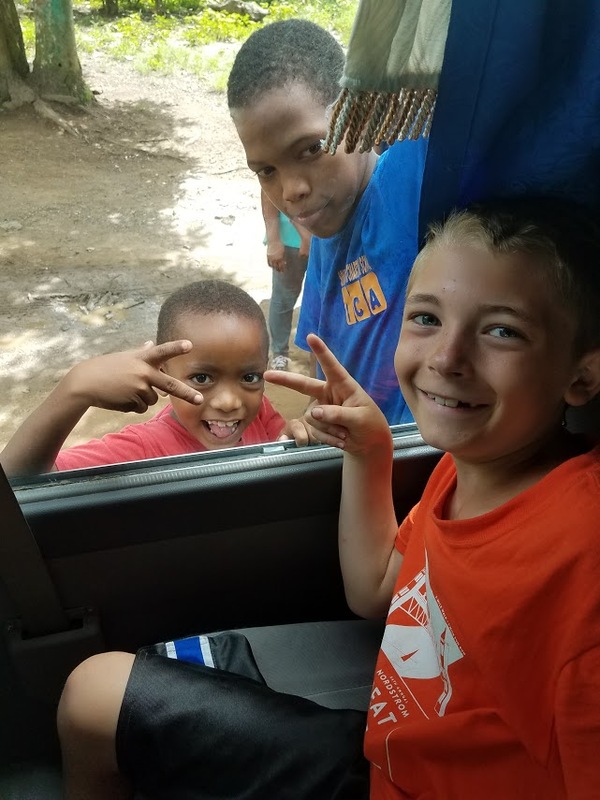 They learned to bachata and merengue, taught the local kids Kan Jam and played it for hours on end, tasted several traditional dishes, explored local waterfalls, attended a church service, visited a neighboring batey, played basketball against a nearby community, bathed in the river, and improved their Spanish. 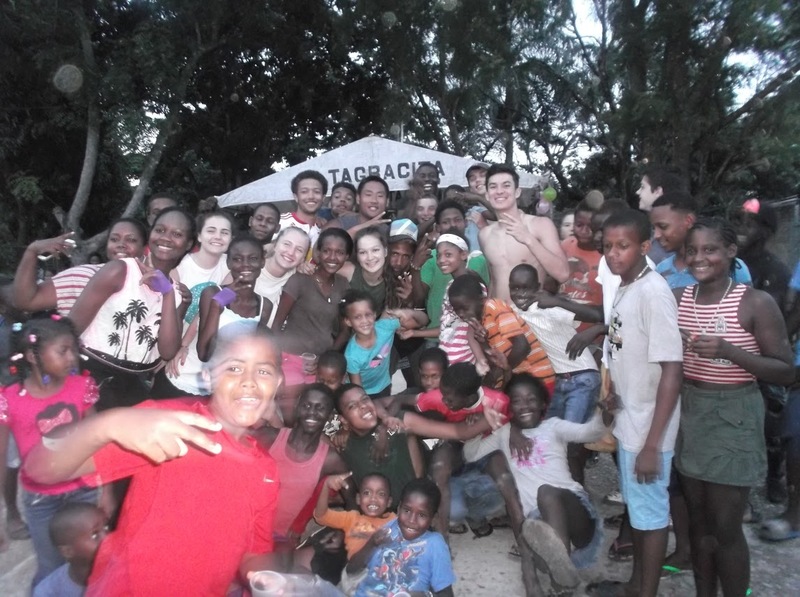 They dove right into the cultural immersion with enthusiasm and openness. But this cultural immersion wasn’t all waterfalls and empanadas. To truly know the reality of daily life for the people of Cruce de Mela is to experience hours on end without electricity or water, to have original and rescheduled plans cancelled multiple times due to rain, to have limited access to resources and materials that are so dependable back home. All court projects present challenges. 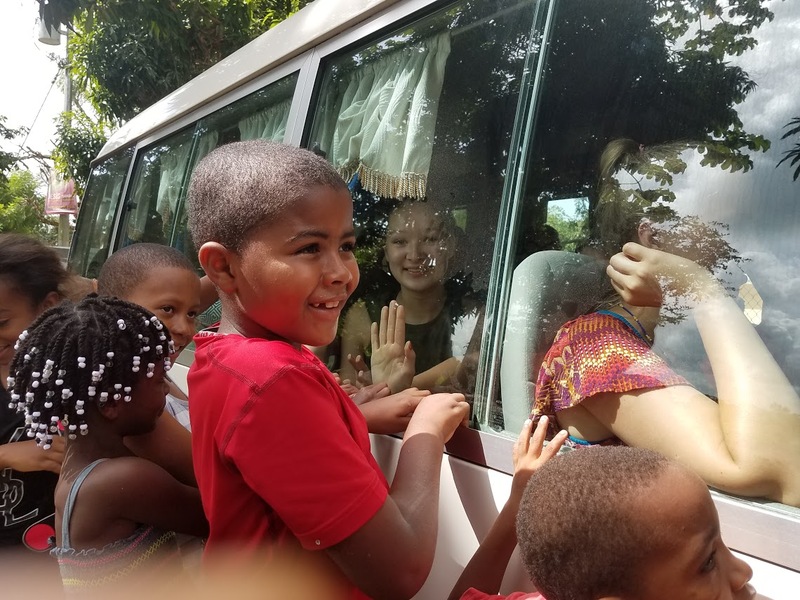 It is impossible to collaborate with an organization that takes a group of American students to an underdeveloped community in a foreign country without expecting to encounter (sometimes major) roadblocks or obstacles. 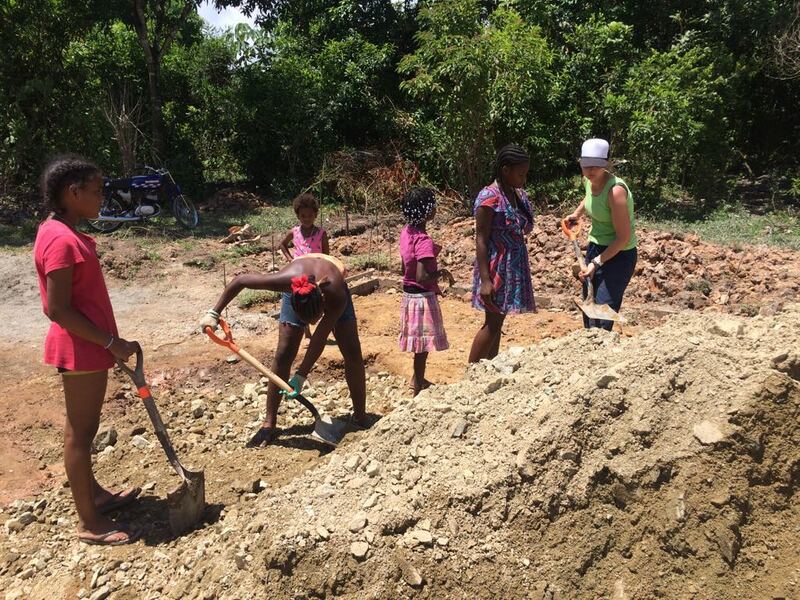 In training, the students and adults are prepared for it, before the trip they are reminded of it, but after three days of moving dirt piles around in the hot Caribbean sun because (from our perspective) no one can agree upon what line we should level the land to, or can confirm the arrival time of the landfill trucks we desperately need, it’s hard to be understanding and chalk it up to cultural differences. It’s even harder when that brings you to the realization that we won’t be able to start, let alone finish the cement pouring of the court. Between the constant rain, waiting on promised donations from local politicians, logistical and transportation difficulties, and surprise sink holes springing up within the court (did I mention that it rained a lot? 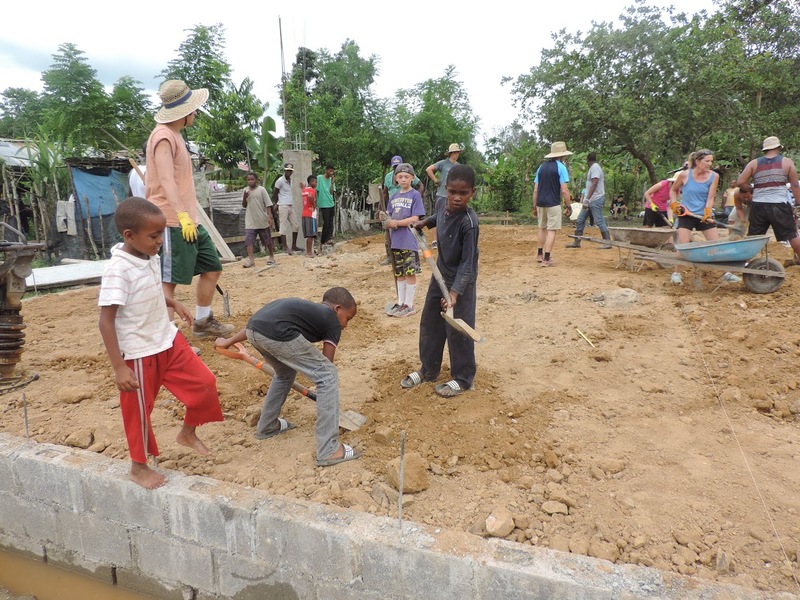 ), we were faced with the decision of pouring the court on top of the water-saturated dirt – allowing the students to be a part of and see the finished product, but dramatically risking the quality of the court – or waiting for the court to dry on its own, which would require three days of no rain, something we knew wouldn’t happen during our stay. Although the decision to pick a quality court wasn’t difficult, it was by no means easy to come to terms with what that meant. We were not going to see a finished court. 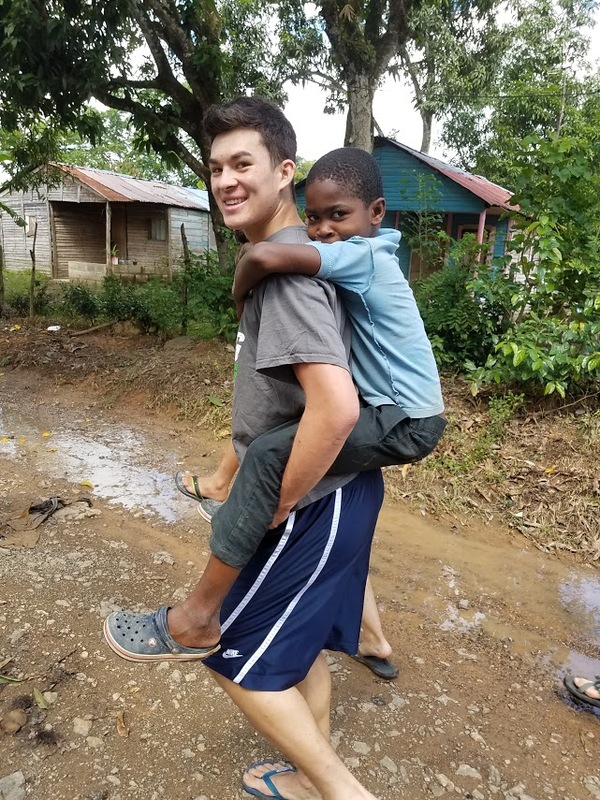 The students and adults of Shoreline showed incredible integrity throughout the trip and were committed to building quality relationships with the people as well as a quality court, but accepting this reality… let’s just say, it sucked. 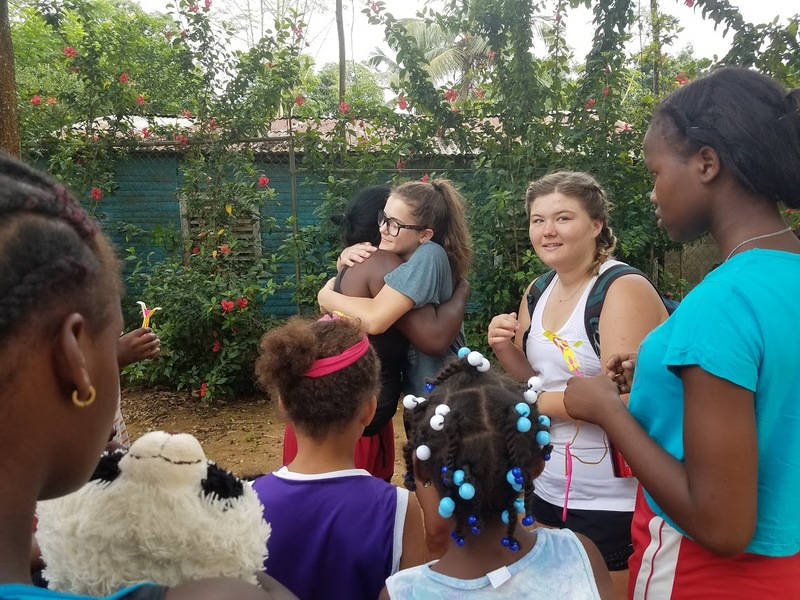 Here is one account, told by Amber, an adult chaperone on the trip (to read her full, day-by-day blog, click here – hoopsinthedominican.wordpress.com). “Now we were faced with a decision. 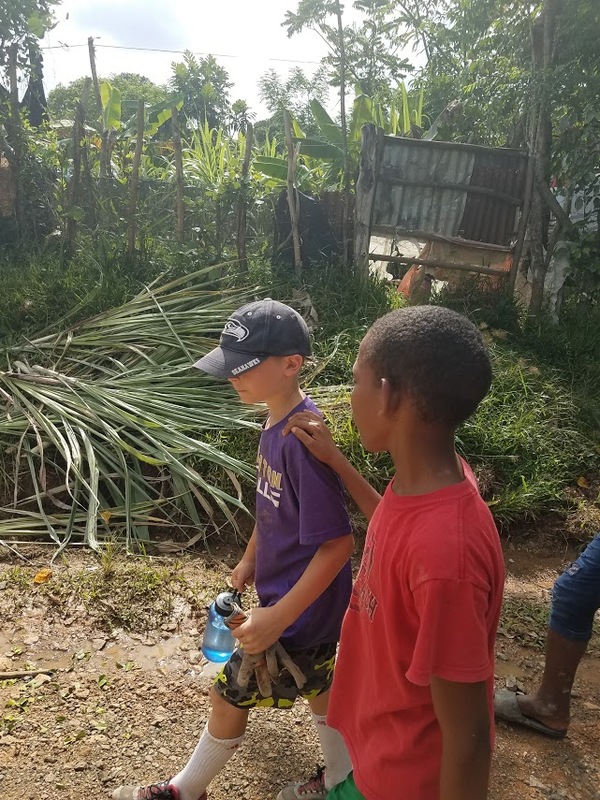 We could try to mend the spots with water seepage and try to begin to pour a court that would not hold up for very long or we could help the community divert the water away from the court and give it time to dry. 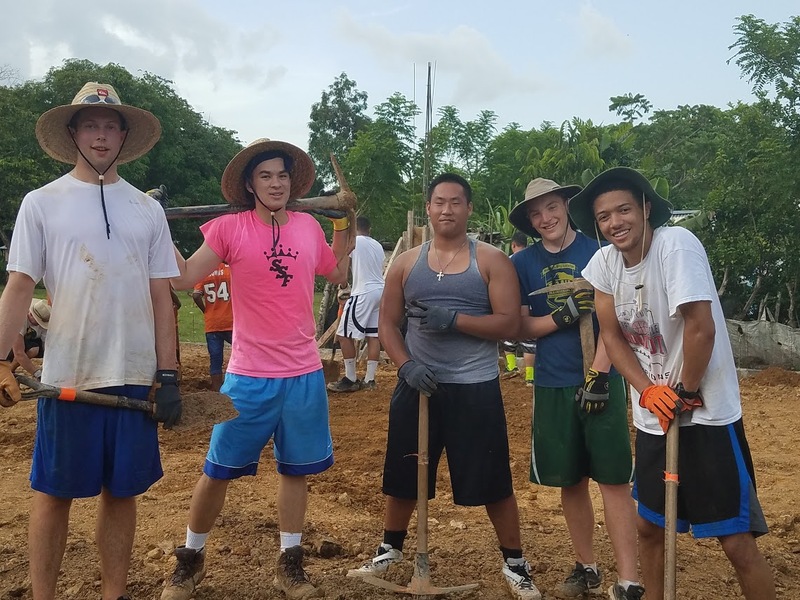 The community would be left to finish the court when the ground was dry and truly ready for concrete. After breakfast, we held a team meeting to discuss the news and our feelings about what was going on. 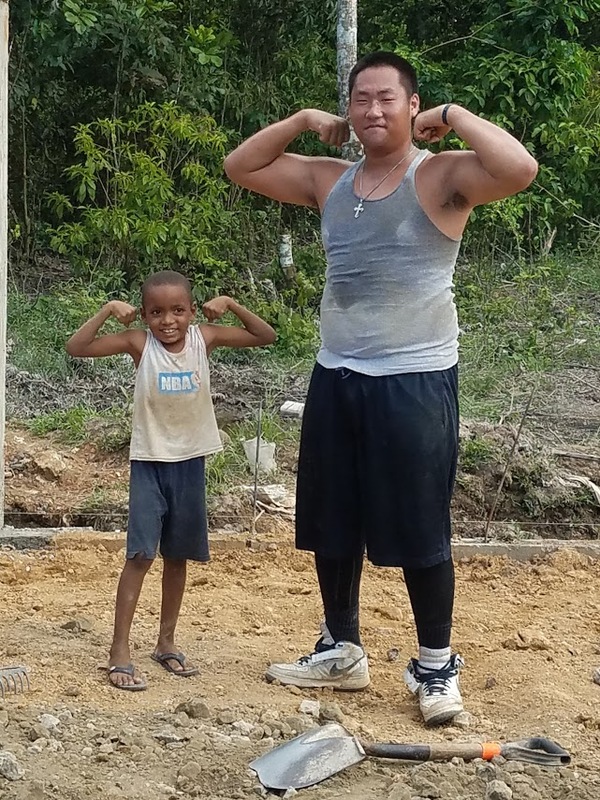 Although it was heartbreaking to give up on the idea that we would get to see the court completed and play on it with the kids, we all knew that we also wanted to give them a good court, one that would serve them for a long time. 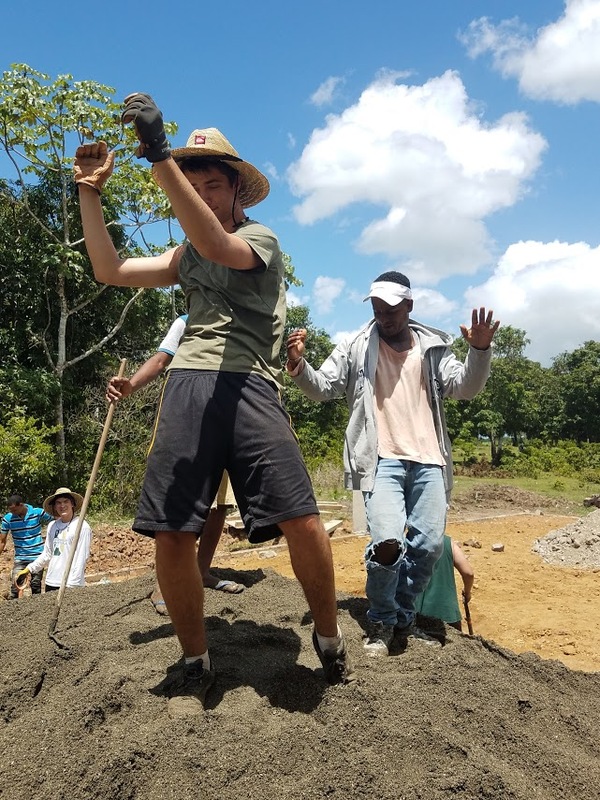 We wanted to give them the best court that we could and unfortunately, that meant we needed to allow time for the ground to dry and to leave it to the community to finish, a task which we believe that they will be ready to complete. You can never really know what it will be like on a Courts for Kids trip. When you travel to 3rd world communities the unexpected is the only thing that you can truly count on. Poverty, corruption, environment, mishaps, and accidents all make their play and by enlarge the communities are merely victims of circumstance. They do not have the power or privilege that we might have to turn the table and stay on a schedule or complete a project according to plan. We now have a clearer understanding as to why Dominicans work on a different time schedule and take things as they come. The evidence is all around. There are half finished projects everywhere, including an abandoned three-story school building in a nearby community that was never completed because the contractor ran away with all the money. 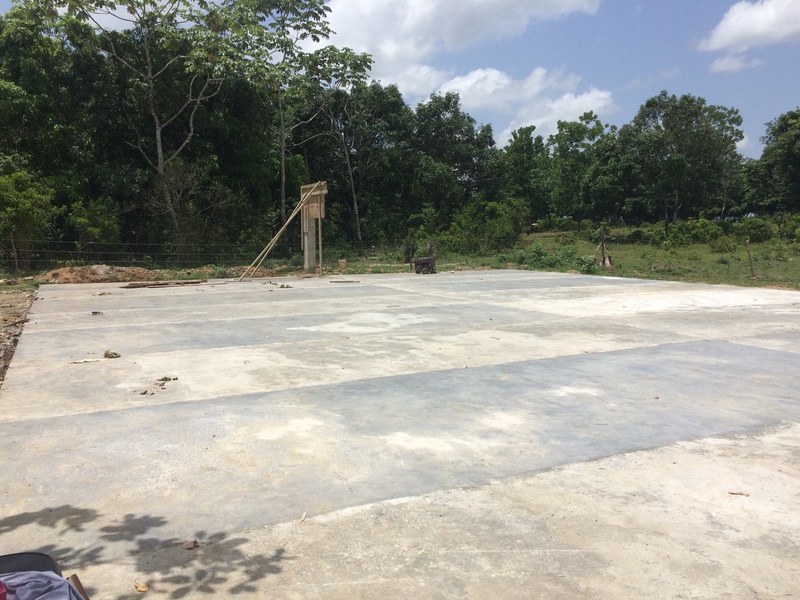 It appears that our takeaway from the trip will not be sharing the joy of a new court with the community, but feeling the pain of disappointment and frustration with a community that has felt a lot of pain and disappointment. Decisions like this raise a lot of questions and produce a lot of feelings. What is the real goal or purpose of the trip? How do we explain this to parents and friends back home? How do we come to terms with this ourselves? What do we value more, personal connections and growth or results and the final product? 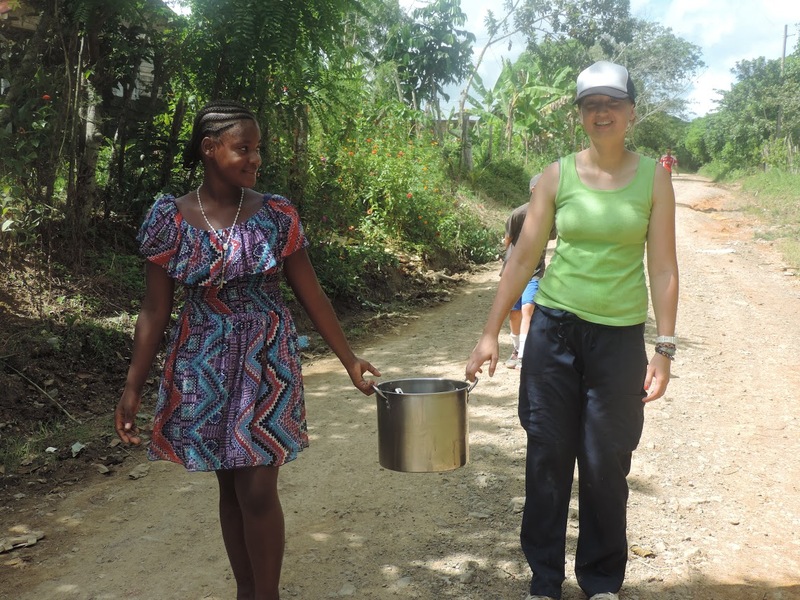 How do we overcome or better address the issues surrounding poverty and development work? She was right. Development work, especially at a grassroots level, is complicated and challenging and requires a lot of persistency and resiliency. 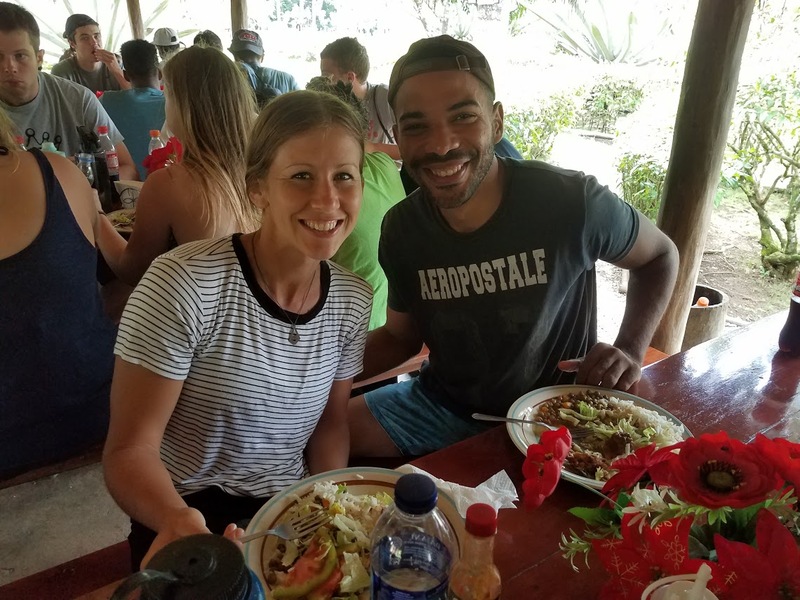 But she was also right that the group left with a second home, full of new friends and family – relationships that transcended culture, age, and language barriers – that would be waiting for them with open arms if they ever decided to return. And despite the disappointment, somehow that felt like enough. We may not have gotten the happy ending we wanted, but we realized that sometimes happy endings are hard to come by in real life and they rarely happen on our preferred time frame.